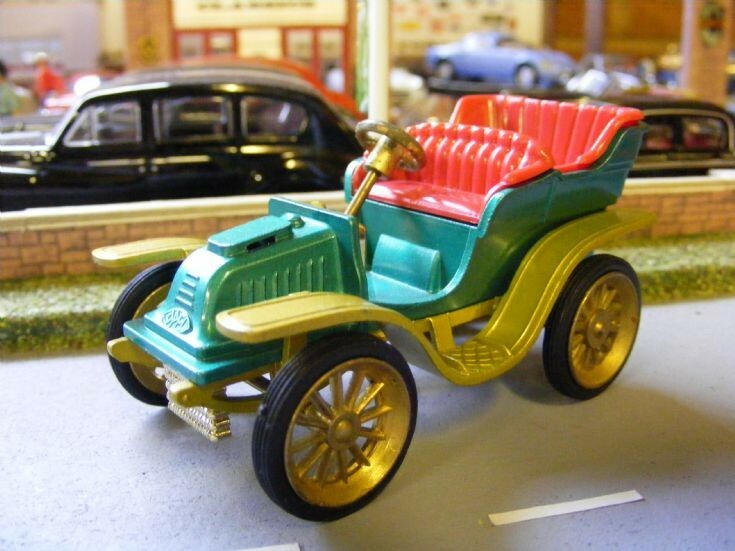 If your my kind of age you will remember a film 'Genevieve' in which the Star Cars were a Darracq and a Spyker driven by John Gregson and Kenneth Moore. The film car was not unlike this Gama model recently acquired for my own collection. Although the scale is a little large careful display will allow it to blend in.